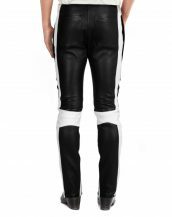 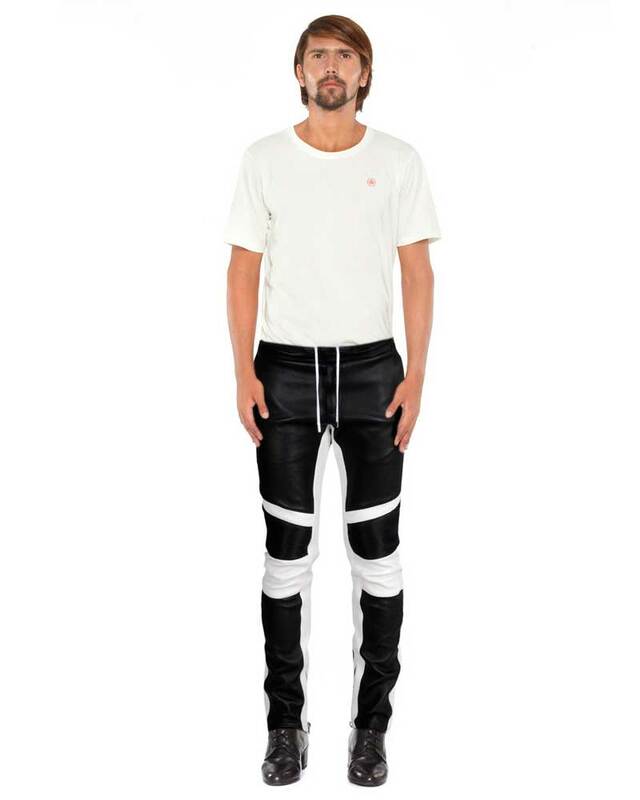 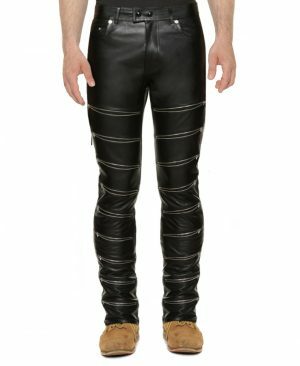 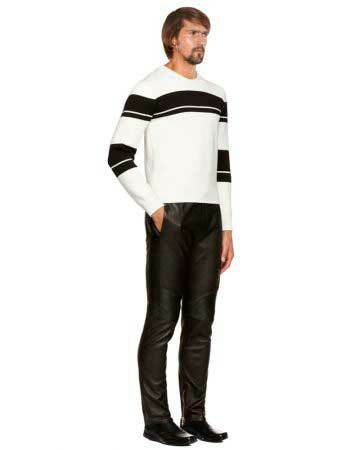 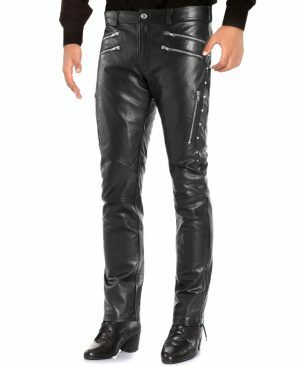 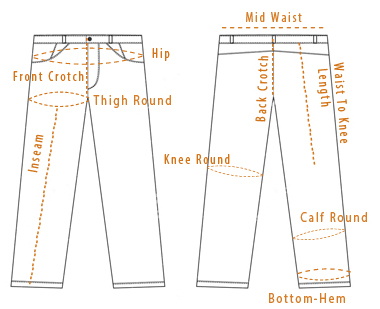 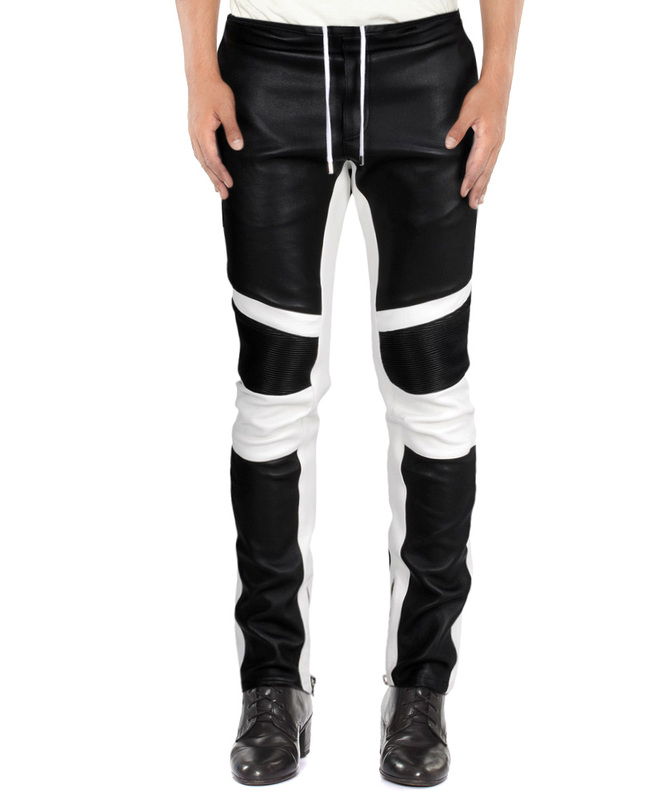 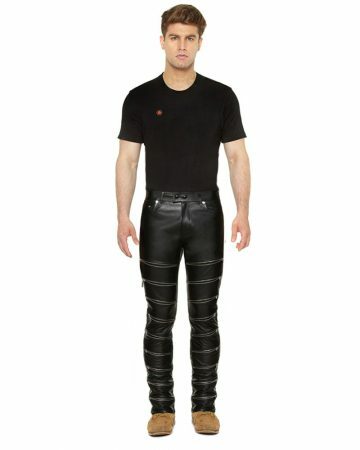 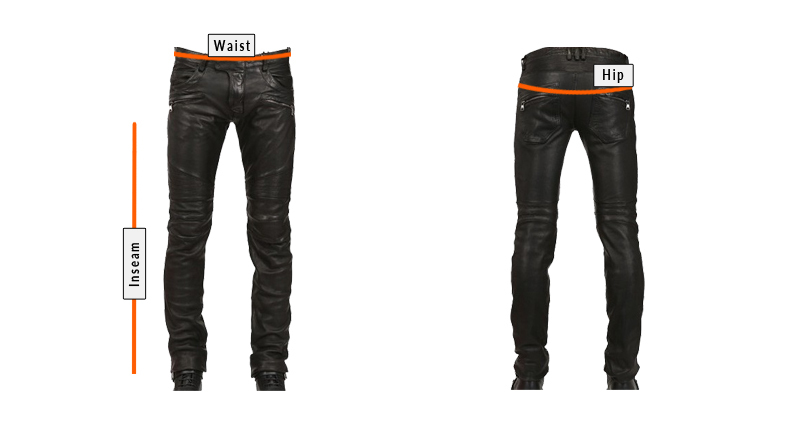 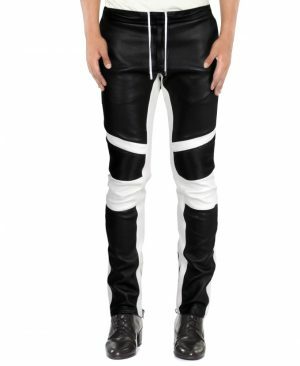 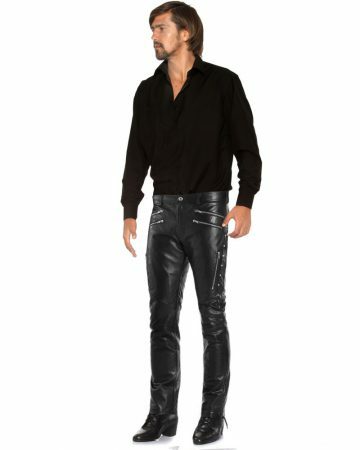 Buy lambskin leather trousers online for a refreshingly youthful update to your wardrobe. 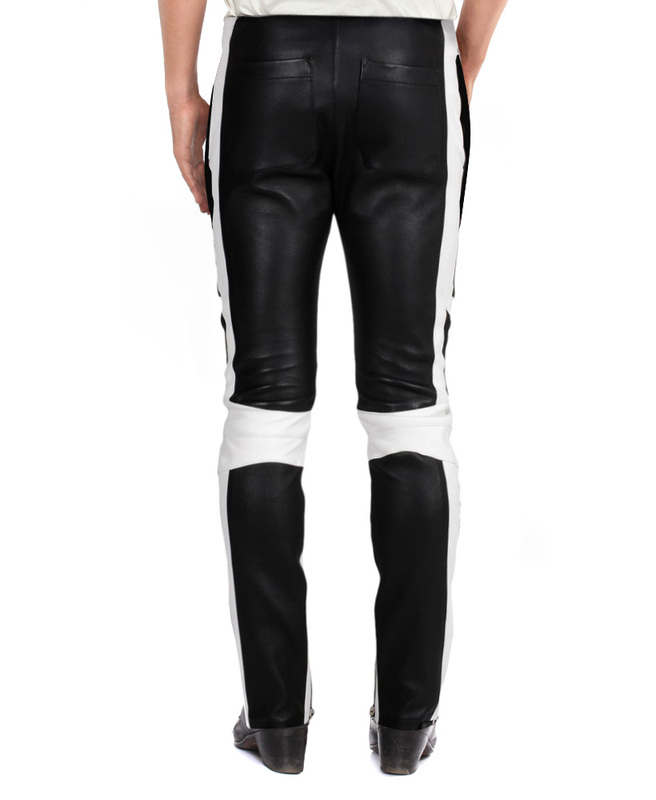 Customized fit and contrast panels create visual interest while soft lambskin and zippered details keeps this skinny fit trouser comfortable yet edgy. 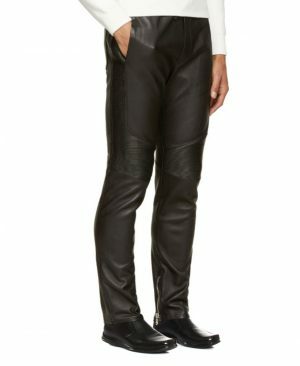 Pair vests jacket or any other closet essential with this versatile piece to completely transform your look.